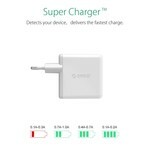 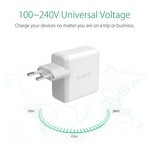 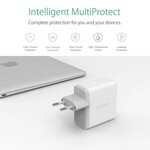 You can safely and stably charge all your mobile 5V devices with this multi port USB home charger. 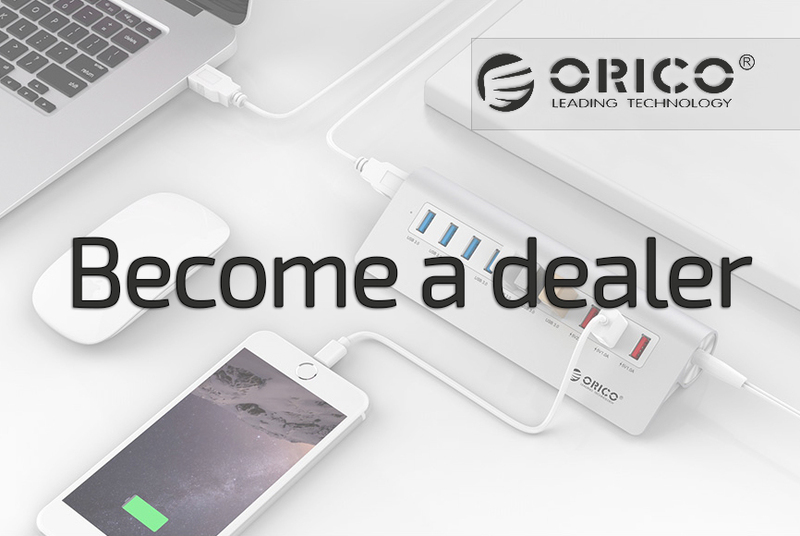 With 4 USB3.0 ports multiple USB devices can be charged at the same time. 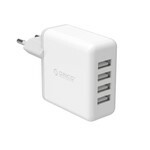 You can safely and stably charge all your 5V devices with this multi port USB3.0 home charger. 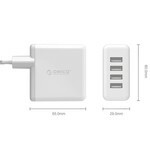 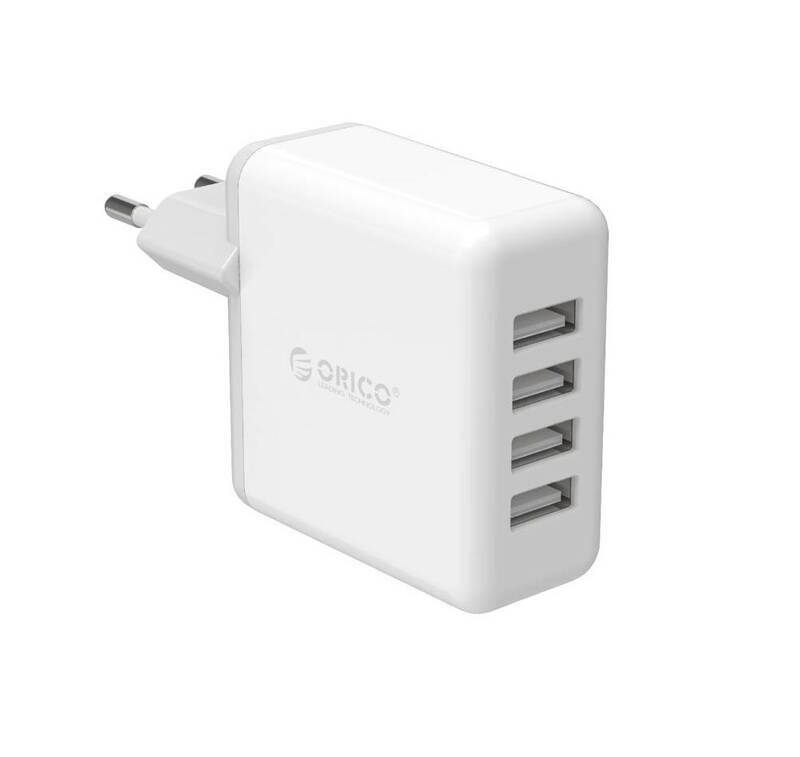 With the four ports you can charge multiple devices at the same time. 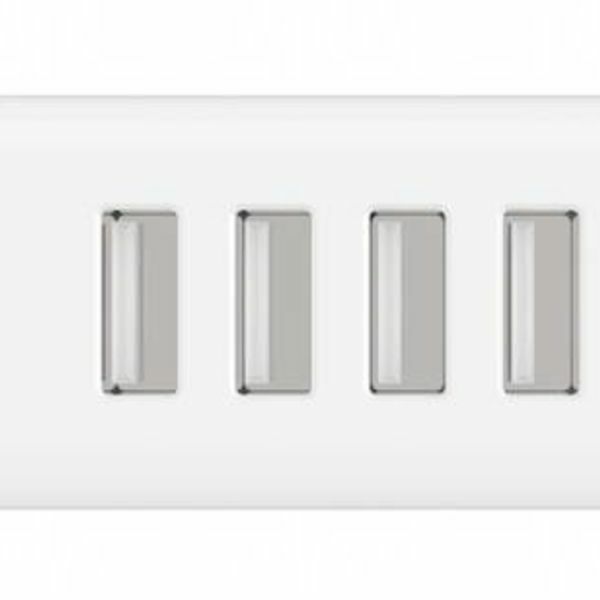 Each port provides 2.4A maximum. 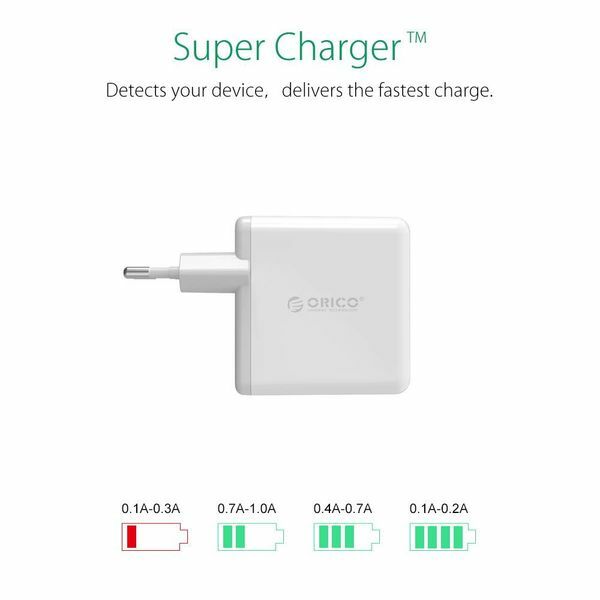 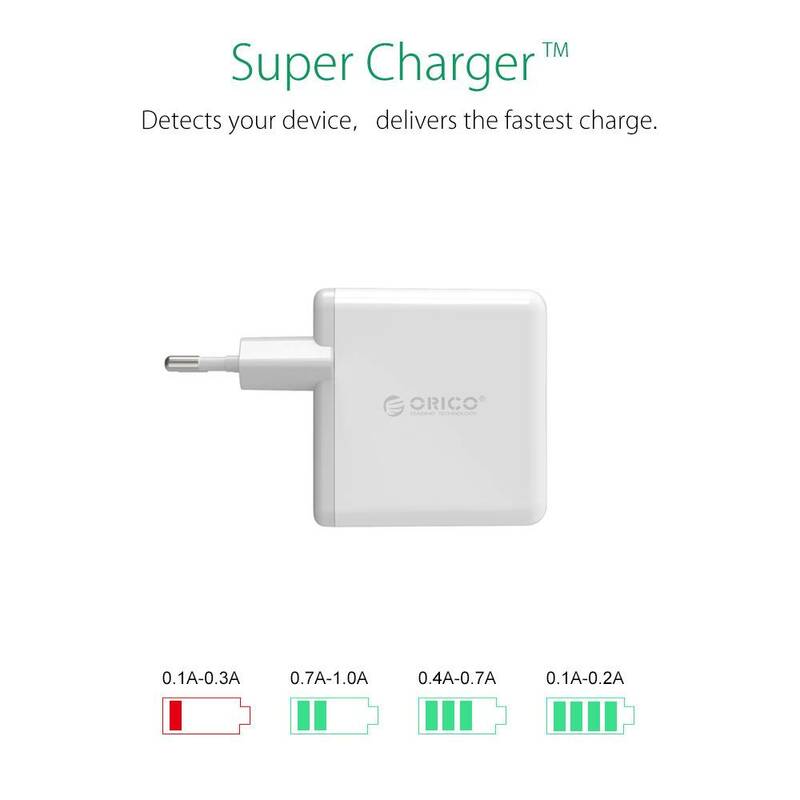 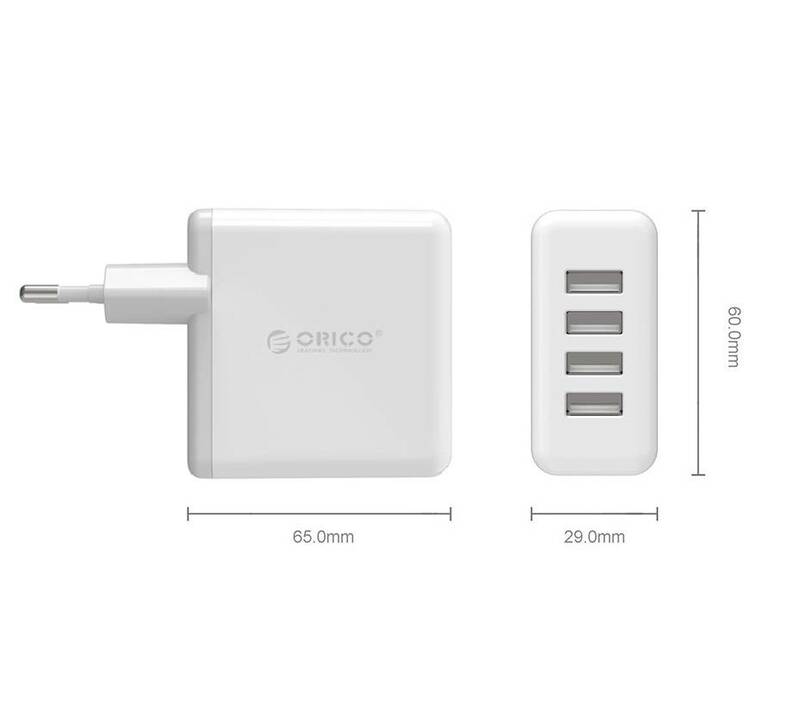 This Orico home / travel charger is the perfect solution for you if you want to charge one or more devices at the same time. You can charge up to four devices at the same time up to 30 Watt. 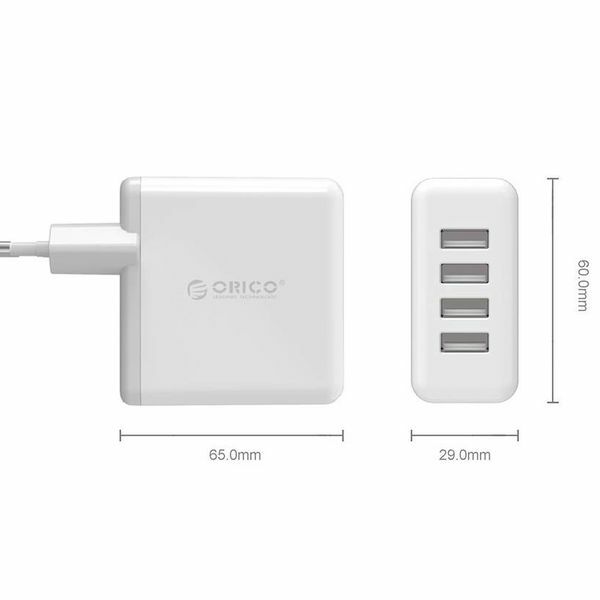 The Orico product is very compact and has a luxurious look. You can easily carry the charger in your pocket, handbag, briefcase or laptop bag so that it can be taken to work, school or on vacation.